Two years ago, the Board of Managers held their meeting in the Hicks Mural Room. They had heard from students that the engineering building was in need of repair, but as President Rebecca Chopp said in an interview with The Daily Gazette, it was “more impactful” to show them. Since then, parts of Hicks Hall have been remodeled. 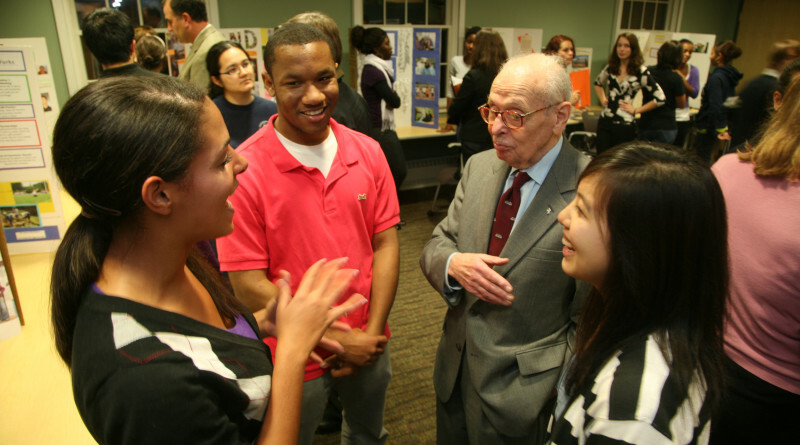 But with Friday’s announcement of the largest single gift in the College’s history, a $50 million donation from Board Chair Emeritus and long-time Philanthropist Eugene Lang ’38, engineers can expect more, bigger improvements in the future. Through better integrating liberal arts and engineering Lang says he hopes students will make greater strides towards solving 21st century problems, such as global warming. “Philanthropy for [Lang] is very much about impact, it’s about ideas, it’s about helping the college move forward,” said Chopp, who said the $50 million gift was a surprise in both its size, and timing. Space is important to the ultimate goal of Lang’s donation, which is to have the engineering department collaborate with other disciplines to find solutions to real world issues. Engineering, along with biology and psychology, have been identified in the Strategic Plan as the departments most in need of remodeled and expanded facilities. The money will be used to create, in Chopp’s words, more “linked spaces” such as those in the Science Center, where departments have their separate halls but are brought together by lecture halls and common spaces. Eldridge Commons, more commonly known as the Science Center Commons, is one such space, which Lang also helped fund. Lang’s donation is a boon to the College’s capital campaign, which was started to raise the funding necessary to implement the goals of the Strategic Plan. Space needs are being addressed through the Master Plan, a complete re-envisioning of Swarthmore’s campus that will take place over the next couple of decades. The Administration previously revealed plans for a $4 million Wellness Center, to accommodate more theater and athletic space, and at least one more dorm. “[Lang] has such a long history with the College . . . He’s seen the needs and interests of students and faculty, and worked with the administration and faculty to bring about ideas,” said Chopp. Lang, whose name graces three buildings at Swarthmore, has also set up the Lang Opportunity Scholarship, endowed visiting and research professorships, and supported student research. Lang, who had already donated $50 million to Swarthmore by 1997, refuses to count how much he’s given away. According to USA Today, by 2006 he had given away $150 million, which amounts to half his personal wealth. Lang made his fortune founding REFAC Technology Development Corporation, which litigates on behalf of smaller companies in exchange for intellectual property and some portion of those patents’ royalties. REFAC has owned patents for automated teller machines (ATMs), liquid crystal displays, and credit card verification systems. 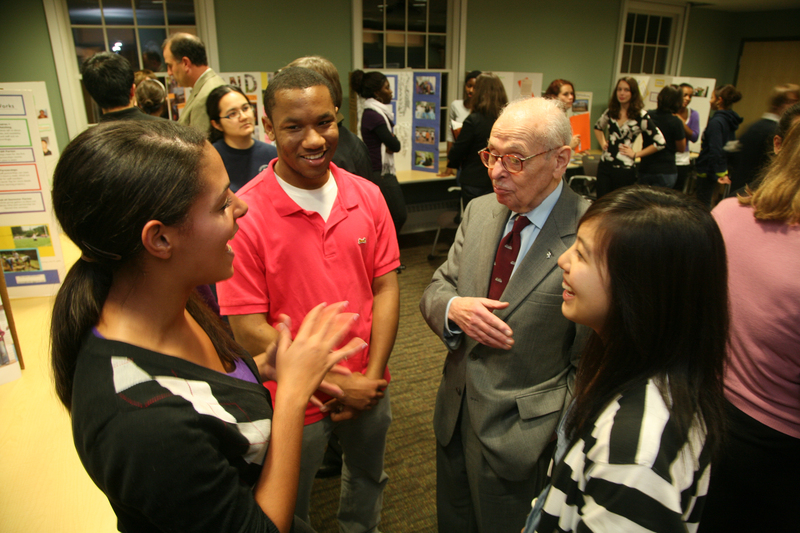 A winner of the Presidential Medal for Freedom, Lang’s generosity also extends outside the ivory tower. In 1981, he famously visited his Harlem elementary school and declared that he would fund the college education of every sixth grader who graduated high school. His “I Have a Dream” foundation grew out of that day, and has since aided 15,000 students. ← Ask The Daily Gazette: Can I Get The Pill At Worth and Does Obamacare Pay for It?